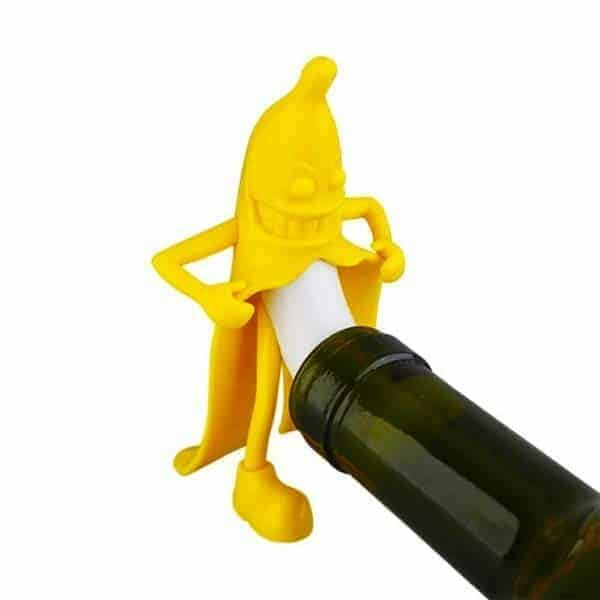 Mr.Banana Wine Bottle Stopper is a funny shaped design wine bottle stopper. Perfect and crazy housewarming gift ever. Great for birthday, wedding, showers, bridesmaids, wine enthusiast, romantic of anniversary, bachelorette party, husband, wife, boyfriend, girlfriend etc – Give them as a gift and you won’t be forgotten. Mr.Banana Wine Bottle Stopper is a Gift for Wine Lovers. Made of hard plastic for longevity and durability. Compact and sturdy. Giving this as a gift…You cannot wait to see your bestie’s face when she opens this box! Except she may not make it past the outside packaging. So funny!!! 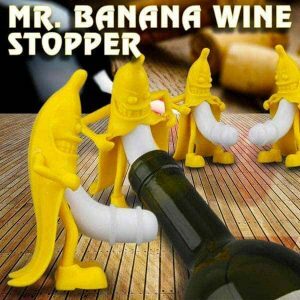 If you are not a drinker, you also need to have this lovely little banana! Makes a great conversation piece. It can get a lot of laughs and works well.